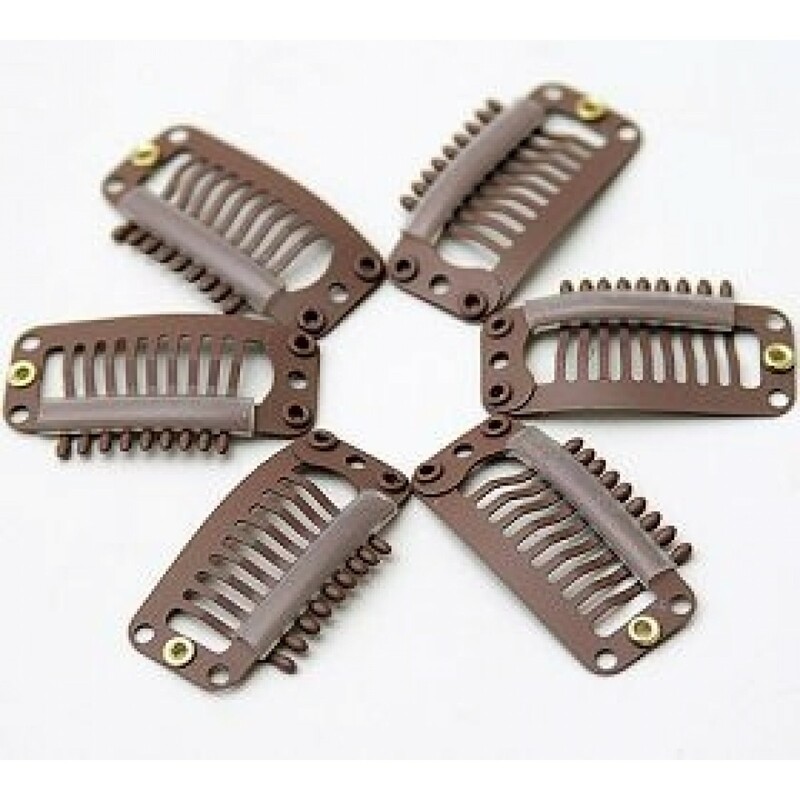 Extra comb clips are an essential item to have on hand in the event that a clip on your clip in hair extensions breaks. 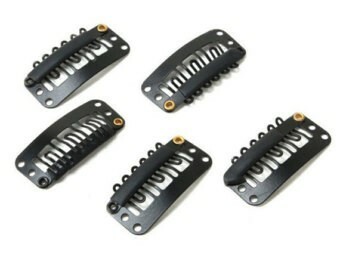 Our Cleopatra comb clips (or wig clips) as they are also known, are silicone lined. 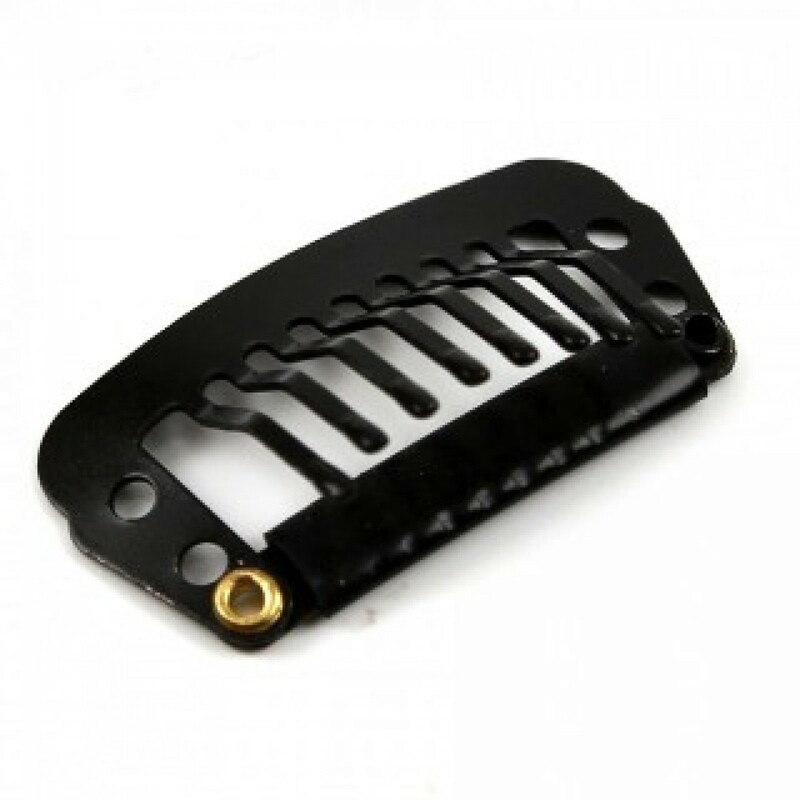 This ensures that the clip will grip securely to your hair and won't slip. They are very strong, and secure. 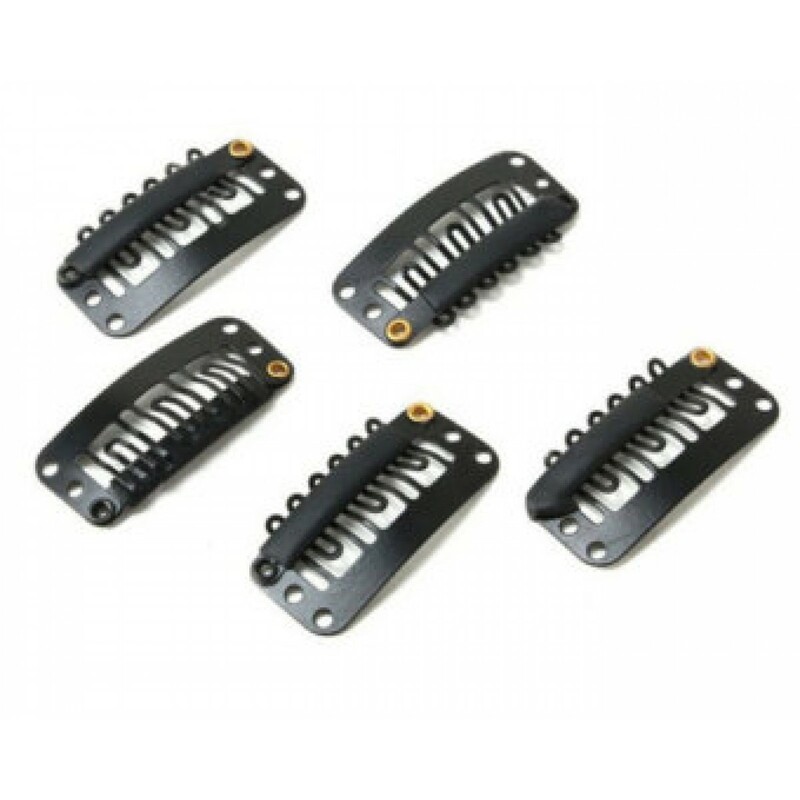 If you are ever in the position that one of the clips on your hair extensions has broken or simply won't click anymore, then these are quick and easy to attach. 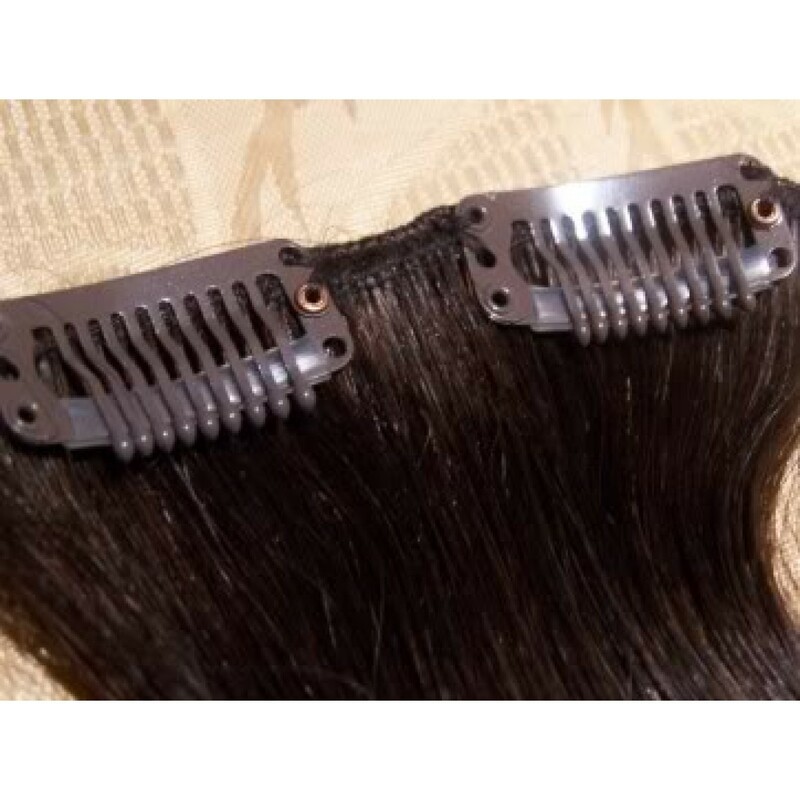 Don't throw out the hair extension weft because of a failed clip. 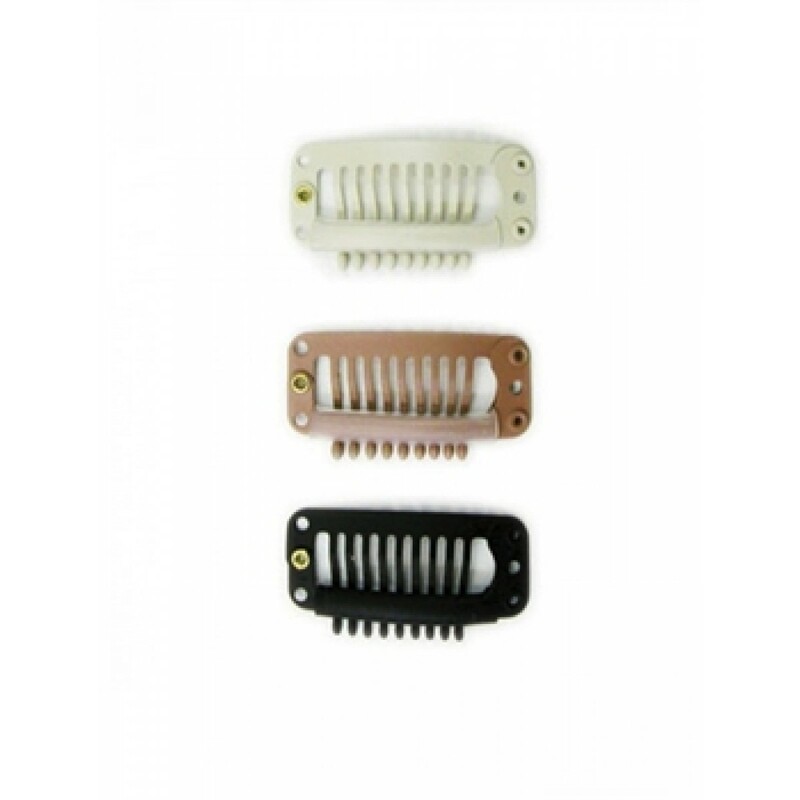 Unstitch the broken clip, and stitch a new one in it's place and the extension weft is ready to use again. 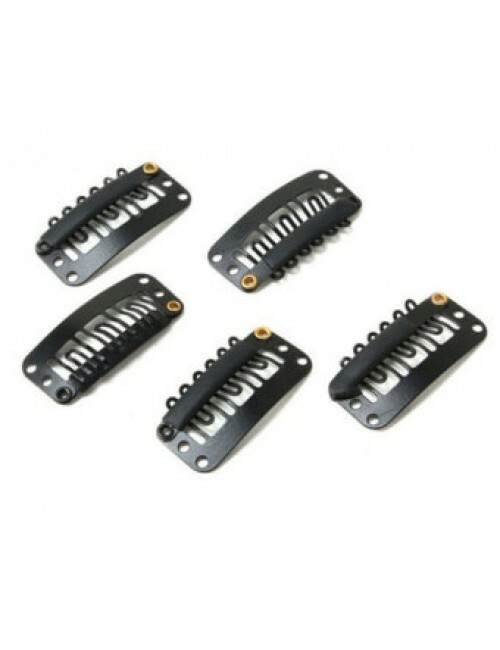 Available in Blonde, Brown, and Black, grab a few to have on hand if you ever need to replace a broken clip.